Cape Cod is a popular summertime destination that is known for its classic New England feel and idyllic, coastal lifestyle. Cape Cod is one of the most visited places on earth because of its historic sites, floral and fauna, natural attractions, notable coastlines and breathtaking beaches. Whatever vibe you crave, you’ll surely find it here. So, grab your towel and sunscreen as we show you around to some of our most beloved beaches on Cape Cod. Craigville Beach is a public beach located in Nantucket Sound that has been nickname as “world famous” because it is a popular tourist hot spot for teens and kids and “muscle beach” because of its buff beach goers. Craigville Beach offers a long, beautiful stretch of sand, public parking, warm waters, and handicap accessibility. A perfect beach for families and kids because of its calm, shallow waters and sea shells. It is known for its world class surfing, giant sand dunes, striking cliff landscapes and iconic Atlantic-side, wide-sand beach. This beach is popular with teens and young adults who loves beach party. Mayflower Beach is one of the best and most family-friendly beach in the in the US and the most scenic beach in Dennis. A popular beach destination for photographers, those in awe of the oceans and families because of its calm tidal flats and stunning sunset. Another popular beach in Cape Cod because of the picturesque view of the Buzzards Bay, spectacular sunset, calm, warm, and azure water and fine, soft white sand. This is another beach spot for those who loves sunset and photography as it offers a gorgeous view of the sunset. A great beach for young children and families as well because of the calm, warm water and sand bars. Watching boats and flying kites can be enjoyed here as well. Located at the northernmost tip of Cape Cod in Provincetown and was named after the the powerful racing cross current. This beach is ideal for surfing, great for fishing, and biking. It also offers pristine sands and shallow waters that’s good for swimming too. Dubbed as a “nearly perfect” beach by a National Geographic Traveller. An ideal spot for an IG-worthy sunrise because of its great views and its notable lighthouse that offers large waves for surfing, swimming and boogie boarding. Not an ideal beach to swim because of its strong current but this spot boasts views of the Chatham Lighthouse that is ideal for nature walks, shark sightings, and fishing boats and migrating seals spotting. Located in Brewster and one of the famous beaches in the area, Breakwater Beach is great for families as it offers bounty sea shells, sea creatures and clear, serene water. If you want to avoid the crowded beaches of Cape Cod, then Ballston Beach is the place to go! It offers picturesque tranquility and ideal waves for surfing and boogie boarding. It was an inspiration for much of the art of Edward Hopper, a 19th century painter because it overlooks the Atlantic ocean, has a beautiful golden hills for an IG-worthy photo ops, a fairly vast beach, pleasant and smooth sand. For those who want to take a break from the cooler temperatures outdoors, we’ve put together a list of some of the best museums around the Cape. This is a wonderful place to learn about the town history of Sandwich and how the glass industry has contributed to the local community and the world. The museum features glassblowing demonstrations, permanent exhibits, and special exhibits. Click here for more information. Increase your understanding of our natural environment and view local natural history artifacts and displays with collections based exhibits featuring whales and birds. The museum offers workshops, walks, field trips, and more for children and adults. Click here for more information. 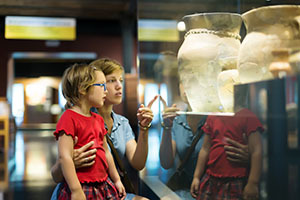 Families learn and play together with hands on exhibits, daily programs, special events, and interactive adventures to awaken curiosity and creativity. Children are free to touch, climb, imagine, explore, and discover with playful learning. Click here for more information. Featuring a variety of collections and exhibitions, this museum provides a thorough understanding of our regional artistic and cultural heritage. Classes, events, and other programs are available. Click here for more information. Celebrate the legacy of President Kennedy and his family. Learn about their lives and their connection to Cape Cod through multimedia exhibits. This museum opens for the season on April 14th. Click here for more information. BARNSTABLE – It was a good start to the year for real estate sales on Cape Cod. The Barnstable Country Register of Deeds John Meade reports that the volume of sales was up 3.3% from last January and the total value of sales was up 13.1% from the previous year. The median individual property sale value was up 0.6 percent from January of 2016 to $342,000. “It’s always nice to start the year off on a plus note and January came through for us that way,” said Meade. “Knock on wood it’s a harbinger for what’s going forward.” Meade said the higher end of the market saw strong activity in January. “The top half of the median was high and that explains our overall value sales being up 13 percent,” Meade said. Meade does not believe the recent volatility of the financial markets would have much of an impact on general home sales. “I do think that some people may be saying they will diversify by putting some of their gains over the last year in something less volatile,” he said. “And we have had a nice period of real estate activity where we are seeing consistency.” Meade the volatility may drive investors into the second home market. 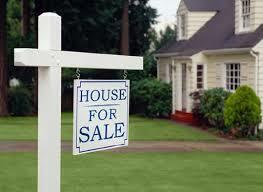 He also expects real estate activity to pick up at the end of the winter into the early spring. 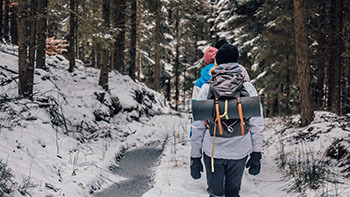 With about six weeks of winter remaining, we wanted to share some of the best winter hiking and walking spots on the Cape for those of you who want to enjoy the outdoors. This eight mile paved walking path runs between the Sagamore and Bourne bridges. There are wonderful water views and several historic spots along the way. Enjoy walking through beautiful trees, quiet beaches, and peaceful Main Streets along this 22 mile paved pathway going through Brewster, Dennis, Eastham, Harwich, Orleans, and Wellfleet. This trail is most beautiful when it’s coated with white snow and offers peaceful tranquility during the winter months. You’ll pass by cranberry bogs, lighthouses, and cultural landscapes. Get best of both worlds on this hike. Enjoy a reasonably flat beach walk and a wooded hike through a quiet forest. This hike takes about an hour. If you’re looking for easy walking during the winter months, this is a great spot with two ponds and plenty of wildlife in the area. This is about a two hour hike. This is a great spot for dog walkers. The trail takes about an hour and goes through some marshy woodlands along the shore of Cape Cod Bay. One of the best spots to see birds year round, this flat trail takes about two hours to complete. It also has a hilly section for those who want more of a challenge. 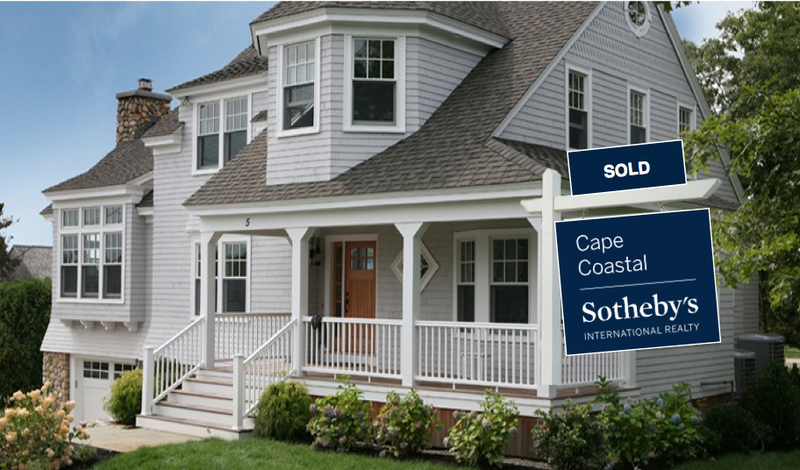 For more information about Cape Cod, Contact Cape Coastal Sotheby's International Realty today! ‘Tis the season to join in on some of the Christmas and New Year’s festivities around Cape Cod! Here are some of the wonderful events taking place this month. 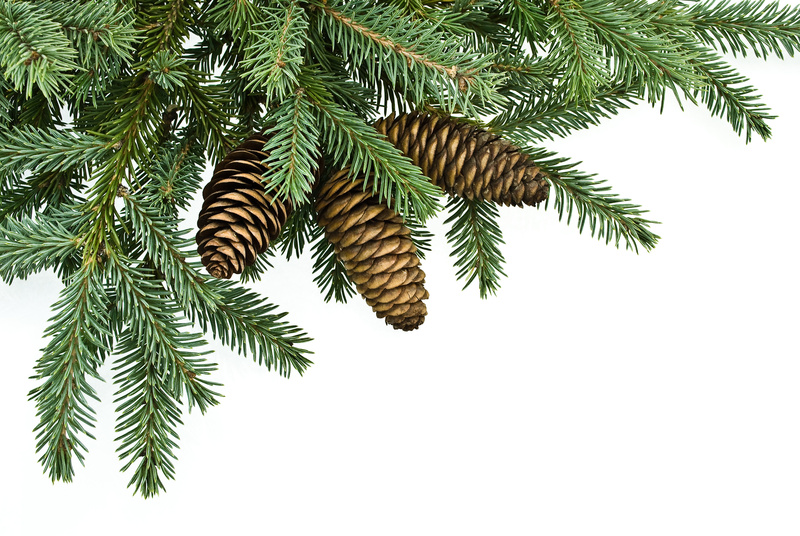 For a full list of Cape Cod holiday events, click here. 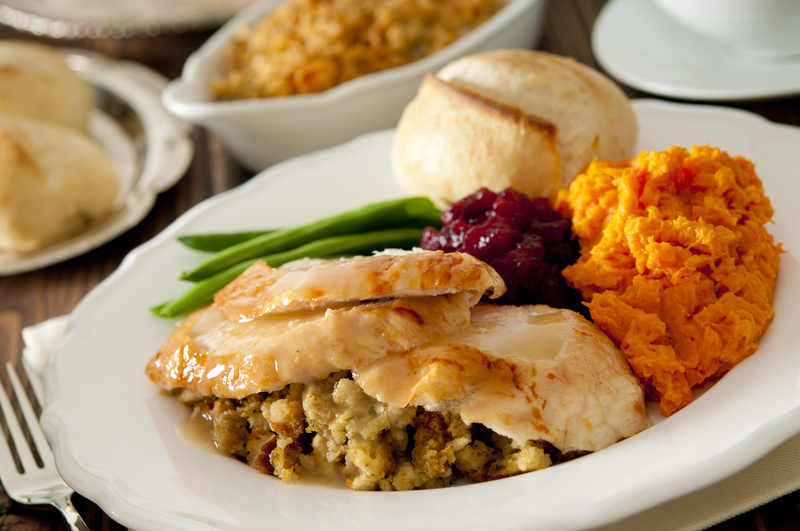 Cape Cod is an ideal place to celebrate Thanksgiving with family, friends, and festivities. Here are some of the holiday events happening on and around the Cape this year. 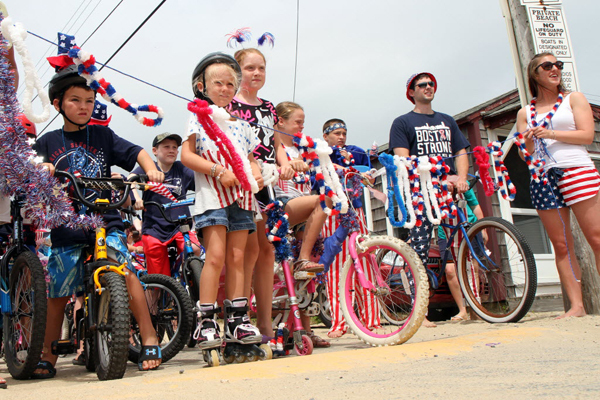 Falmouth: 8:30 p.m.at Falmouth Heights Beach, 416 Gifford St.
Pocasset: Salt Marsh Lane 4th of July Parade: 1 p.m., Barlows Landing Road, Pocasset. 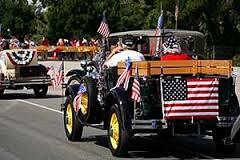 Parade starts from St. John’s Church in Pocasset and goes down Barlow’s Landing Road, through Salt Marsh Lane. 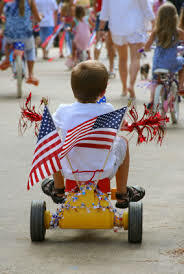 Theme: “American Broadway Shows.” Residents and families of Salt Marsh Lane design floats, decorate bikes and themselves. Barnstable/West Barnstable: 9 a.m., beginning at the County Complex on Railroad Avenue, continuing onto Main Street (Route 6A), turning left onto Mill Way and ending at the Village Hollow. Chatham: 9:30 a.m., beginning at the intersection of Shore Road and Main Street, continuing up Main Street, ending at the intersection of Crowell Road and Tip Cart Road. Wellfleet: 9:30 a.m., Antique Car Parade (starting at Mayo Beach), 10 a.m., general parade (starting at town pier) with a “Favorite Children’s Stories” theme, beginning on Holbrook Avenue, turning right on Main Street, right on Commercial Street, and ending at Wellfleet Pier. The judge’s stand will be on the lawn of the Town Hall, 286 Main St.
Bourne: 10 a.m., beginning at the intersection of Academy Drive and Main Street, ending at the Bourne Veterans Memorial Community Building, 239 Main St.
Centerville: 10 a.m., beginning at Centerville Elementary School, 658 Bay Lane, continuing up Bay Lane, turning right onto Bumps River Road, a left onto Park Avenue, a right onto Main Street, and ending at the Centerville Recreation Building, 524 Main St.
Falmouth: 10 a.m., bike and carriage parade beginning at the Village Green, continuing down Main Street, ending at Peg Noonan Park, 270 Main St., where prizes will be awarded. Orleans: 10 a.m., beginning at the Orleans Elementary School, 46 Eldredge Park Way, continuing on Route 6A, onto Main Street, then onto Route 28, and ending back at Eldredge Park Way. Sandwich: 10 a.m., beginning at the Henry T. Wing School parking lot, 33 Water St., turning left onto Beale Avenue, right onto Water Street, right onto Main Street, right onto Beale Avenue, left onto Morse Road, and ending past the bandstand at the Wing School. Cotuit: 11 a.m., beginning at the Cotuit Post Office, 45 School St., continuing down School Street to Main Street, turning left onto Main Street and ending at the rear entrance of the Waldorf School of Cape Cod, 140 Old Oyster Road. Hyannisport: 11 a.m., beginning at the Hyannisport Post Office, 44 Longwood Ave., turning left onto Washington Avenue, a right onto Lafayette Avenue, a left onto Winchester Avenue, a left onto Scudder Avenue, and ending at the West Beach Club, 9 Dale Ave.
Provincetown: 11 a.m., beginning at East End, Harbor Hotel, continuing up Commercial Street, ending on Franklin Street (see related events below). Osterville: 11:30 a.m., beginning on Washington Avenue, turning right onto Webster Street, a right onto Sea View Avenue, a right onto Warren Street, and a right onto Washington Street, where it will end. Woods Hole: noon. beginning at the entrance to Woods Hole Oceanographic Institution parking lot on School Street, moving down Water Street where it will end. Free watermelon and water immediately following in Waterfront Park, 100 Water Street. Hyannis Harbor Boat Parade: 2 p.m. at Hyannis Marina with viewing along Ocean Street. Hyannis: 4 p.m., beginning at the intersection of Ocean and Main streets, and ending at the intersection of Sea and Main streets (See related activities below). Edgartown:Martha’s Vineyard): 5 p.m., beginning at the intersection of West Tisbury Road and Pinehurst Road, taking a right onto Main Street, a left onto Pease’s Point Way next to the monument, then a right onto Morse Street, a left onto Fuller Street, a right onto Thayer Street, right onto North Water Street, right onto Main Street, left back onto West Tisbury Road, ending at the Edgartown School, 35 Robinson Road. Mashpee: The Mashpee Community Picnic, 5 p.m. at Mashpee High School, 500 Old Barnstable Road. Games, entertainment (including a magic and juggling show), activities, food and live music. Limited parking, shuttle available from Quashnet Elementary School, 150 Old Barnstable Road, to the high school. Chatham: Chatham Liberty Craft Festival 10 a.m. to 5 p.m. Saturday, 10 a.m. to 4 p.m. Sunday on the Chatham Community Center lawn, 702 Main St. Showcasing American-made arts and crafts and specialty foods. Wellfleet: 8:30 a.m., 5-mile adult fun run; 10 a.m., 1.2-mile children’s fun run with prizes given to all. Adult course beginning at Mayo Beach parking lot, Kendrick Ave., run along Wellfleet Harbor to Sunset Hill and back. Children’s course from Mayo Beach parking lot to Chequesset Neck Road and back. Children 6 and under must be accompanied by an adult. Sandwich: 8:30 a.m., 3-mile road race and fun run behind the Henry T. Wing School, 33 Water St. 11:30 a.m. egg toss, followed by a picnic in the park and music by Brian Sances Band at noon to 2 p.m. at the Henry T. Wing School. 1 p.m. water games and “THE FOAM” foamy water from the Sandwich Fire Department. At 7:30 p.m., Dale and the Duds will perform “oldies but goodies” at Shawme Pond Bandstand behind Town Hall on Route 130. At 9 p.m. there will be a boat parade behind the bandstand featuring small boats decorated with paper lanterns and candles. Falmouth: 9 a.m., 6th Annual Run Jack Run Family Fun Run/Walk beginning at Falmouth High School boys’ soccer fields, continuing down Gifford Street, ending at Trotting Park soccer fields. FHS a capella group Soulfege will sing the national anthem before the race. Hyannisport: 9 a.m., Beach Club 2K Run at the Hyannisport Post Office, 44 Longwood Ave.
Nantucket: 9 a.m., annual reading of the Declaration of Independence at the Unitarian Universalist Meeting House, 11 Orange St. There will be a patriotic sing-along with Bob and Diane Lehman and the Meeting House Community Chorus. Children can sign a replica of the Declaration of Independence and “ring” in the Fourth of July on the 1815 Portuguese bell in the Meeting House tower. 10 a.m. to 11:45 a.m., there will be events on Main Street, including a dunk tank, a watermelon-eating contest, face-painting, a pie-eating contest, bike decorating, Matt Fee Tea Toss, a puppet show, and Uncle Sam bean toss. 5 p.m., Independence Day games for families at Children’s Beach off Harbor View Way. Activities include a tug-o-war, three-legged races, and sack races. Chatham: 11 a.m., Strawberry Festival at the First United Methodist Church for strawberry shortcake and lunch, 16 Cross St.
Yarmouth: 11 a.m. to noon. Historical Society of Old Yarmouth annual Fourth of July picnic, Kelley Chapel Meadows. Free for members and guests. Provincetown: 3 to 10 p.m., first “Monumental 4th of July Picnic” on the grounds of the Pilgrim Monument, 1 High Pole Road, Provincetown. Visitors can enjoy food from Mac’s Seafood with a choice of lobster roll or fried chicken, both with sides and desserts and includes access to the cash bar. Fireworks to follow. Tickets: $45 for adults, $15 for children. Tickets and parking can be reserved online at pilgrim-monument.org. The advisory commission was created at the same time as the Cape Cod National Seashore to mollify concerns about the federal government controlling some 44,000 acres of beaches and bogs that stretch from Chatham to Provincetown. The commission is composed of representatives from the surrounding six towns, as well as the county, state, and the US Interior Department. The group has a long history of helping officials navigate a range of delicate issues, from preserving aging dune shacks to allowing vehicles on pristine beaches. But last week, commissioners learned that they must halt their meetings during a Trump administration review. Delaney and other commissioners said they worry about the administration’s intentions, especially given the major cuts President Trump has proposed for the Environmental Protection Agency and his recent executive order to review the establishment of national monuments by his predecessors. But a spokeswoman for the Interior Department said that the suspension is temporary, and that the commission would probably be cleared to resume its business this summer. The pause gives Interior Department Secretary Ryan Zinke time to review the “charter and charge” of the Cape Cod commission and similar bodies, she said. The order affects more than 200 similar federal advisory bodies across the country. “The secretary is committed to restoring trust in the department’s decision-making, and that begins with institutionalizing state and local input and ongoing collaboration, particularly in communities surrounding public lands,” Heather Swift, a spokeswoman for the Interior Department, said in a statement. The review also seeks to “maximize feedback” from committees and “ensure their compliance” with the federal Advisory Committee Act, she said. “This review process necessitates the temporary postponement of advisory committee meetings,” Swift said. She said concerns that the Trump administration may be seeking to dilute local input were misplaced. Commissioners learned about the suspension last week from George E. Price Jr., the longtime superintendent of Cape Cod National Seashore, during his last week on the job. The story was first reported by the Cape Cod Times. “It is ironic that the last actual message I am sending to all of you is to inform you that all Advisory Commission business . . . has been postponed at this time,” Price wrote the commissioners in an e-mail. He had no further information about the decision. “I assume this is related to the transition of the administration,” he wrote. When reached by phone, Price declined to comment. Many of the 10 commissioners, who for years have met with federal officials every other month to provide input and seek consensus, are skeptical about the administration’s intentions. “This could be an attempt to clear the way for less public resistance to the broader exploitation of resources,” said Delaney, who was appointed chair during the Obama administration and could be removed from his position by new appointees. 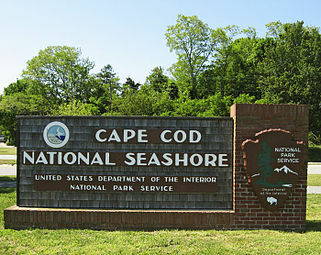 The commissioners said the panel has helped Cape Cod communities maintain a healthy relationship with the National Park Service, which overseas the national seashore. While the panel’s rulings aren’t binding, the Park Service almost always heeds its advice, they said. “I’m very worried,” said Sheila Lyons, a commissioner who has represented Barnstable County since 2010. She recalled how officials from Russia’s park service visited a few years ago and marveled at the volunteer commission’s relationship with the government. Maureen Burgess, who has represented Truro since 2011, noted that her fellow commissioners had already submitted to federal background checks and been approved by the Interior Department. Commissioners have played a key role in policies approved by the Park Service, such as banning jet skis along the national seashore and off-road vehicles on most of its beaches. The panel also urged the state to require the Pilgrim Nuclear Power Station across Cape Cod Bay to do more to contain its spent fuel. Muffling their voice, Burgess said, would amount to a significant loss for the community. “It’s upsetting what has happened,” she said. Dogs, whether with leashes or without, have been banned from Popponesset Spit for the season. A newsletter from Save Popponesset Bay sent out April 27 reads that no dogs would be allowed on the beach from April 1 until Labor Day in September in order to protect piping plovers and other threatened species. New signs were recently installed at the beach highlighting the new rule. Michael Oleksak, president of the board of directors of Save Popponesset Bay, said that the organization has worked with Mass Audubon to keep the beach safe for the threatened species, and that dogs could thwart that effort. The spit is a privately owned barrier beach separating Popponesset Bay from Nantucket Sound, aside from a boating channel. Save Popponesset Bay, a nonprofit organization that aims to protect the spit from erosion, owns two-thirds of the barrier beach to the southwest, while Mass Audubon owns the eastern one-third. The one-mile-long barrier beach protects both Popponesset Bay and homes in New Seabury, as well as the many channels that filter into the bay, including the Mashpee River. It is a popular spot for boaters and fishermen. Piping plovers, a threatened species along the Atlantic Coast, nest and raise their young along the barrier beach through the spring and summer. According to the US Fish and Wildlife Service, piping plovers were common along the East Coast during much of the 19th century, until commercial hunting of the birds for their feathers to decorate hats nearly wiped them out. Following passage of the Migratory Bird Treaty Act in 1918, plovers recovered until the 1940s, when increased development and beach recreation after World War II caused the population to decline. 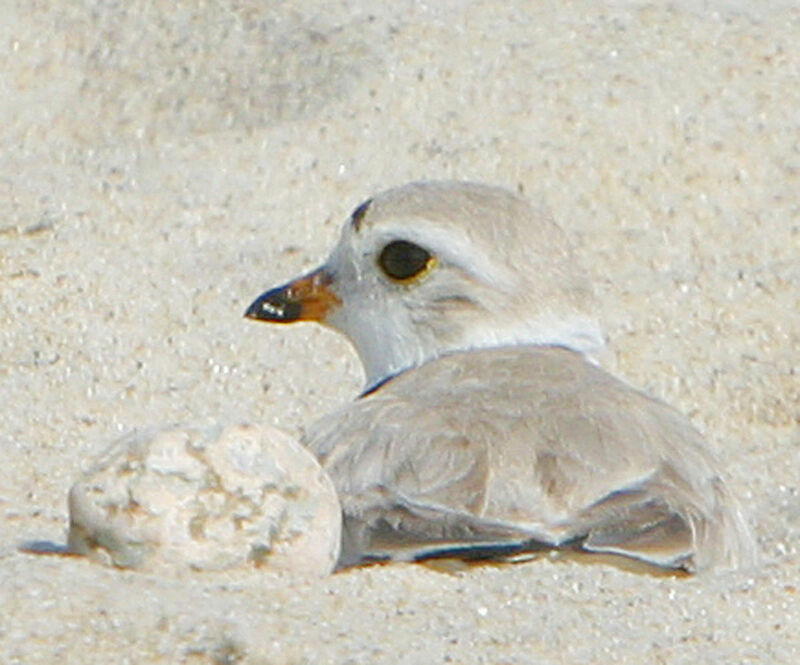 The plover was given protection under the Endangered Species Act in 1986. The Spit also provides nesting habitat for least terns and common terns. The wildlife sanctuary also serves as a pre-migration fall staging area for common terns and sometimes roseate terns as well as many shore bird species. BARNSTABLE –The Barnstable County Register of Deeds reports that real estate sales volume has dipped but value has continued to rise for the month of February. The volume of real estate sales was down 15.2 percent from February of 2016 and the total value of sales was down 9 percent over last year. “The main reason we didn’t have the volume, to my taking, is that we had three fewer business days this February than we did last year, so that probably explains why we were down volume-wise,” said Register of Deeds Jack Meade. The median individual property sale value was up 8.6 percent from the previous year and there was a 11.2 percent decrease in the volume of mortgage activity from February 2016 levels. The median sale price of property in Barnstable County last month was $335,000. For the year-to-date, volume of sales is up 1.3 percent, total value of sales is up 1.7 percent, individual sales value is up 8.8 percent and mortgage volume is up 5.4 percent. The number of foreclosure deeds decreased from 20 in February of 2016 to 15 last month, or a 25 percent decrease. They are up 8 percent for the year-to-date. Meade believes that the next few months will be better for real estate activity in Barnstable County.